I’m listening to the radio commentary of the Capital One Cup Final as I set up my new website and the final whistle has just gone. Swansea have won emphatically but it sounds as though the Bradford City fans kept supporting their team to the end. It brings back memories of two years ago when I was there supporting another BCFC. I went with a 13-year old friend and spent the journey up trying to prepare him for what seemed like inevitable defeat. “You do know,” I said, “that Arsenal will probably win.” With the optimism of youth he said that he understood that but Birmingham could win. He was right, of course. I’m hoping that the Bradford City fans stayed to applaud their team and didn’t leave as quickly as the Arsenal ones did in 2011. 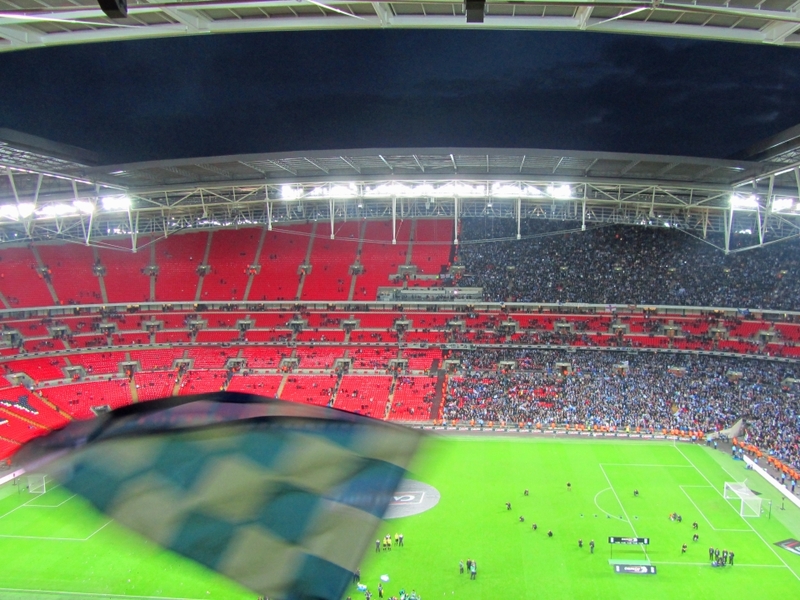 Back then, we Birmingham City fans found ourselves in a stadium of two halves: one full and one empty. This entry was posted in Birmingham City FC, Football and tagged Birmingham City F.C., Bradford City, Football, Swansea City F C on February 24, 2013 by Puddleglum.